Can the MT-125 follow on from the success story of the MT-07 and MT-09? 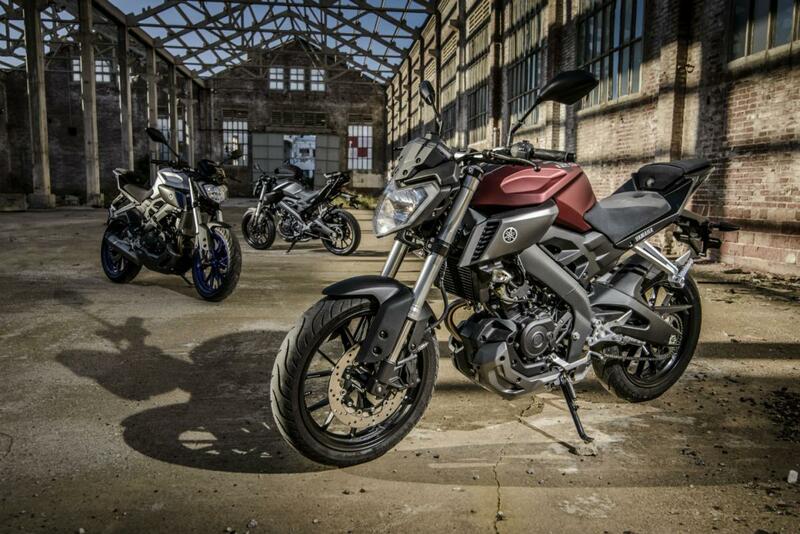 WITH Yamaha's MT-07 and MT-09 selling like hotcakes, it was only a matter of time before they made a 125cc version to go up against KTM's popular Duke 125. And after a long day of B road hooning, city crawling and general shenanigans on the little MT, I've got a feeling an orange vs. blue battle is soon to start brewing. 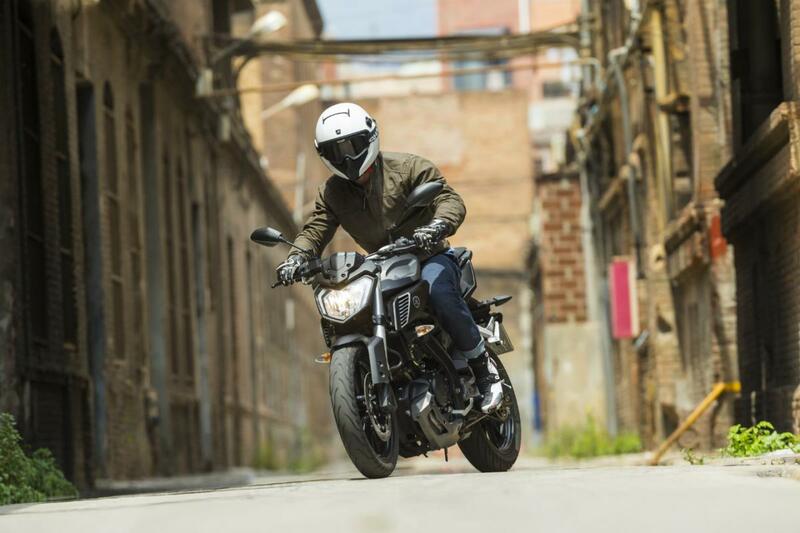 The new MT-125 gets chunky USD forks, a digital dash, alloy wheels with six Y-shaped spokes and similar dimensions to the larger MT-07. Despite its low engine capacity it by no means feels small or out of proportion. 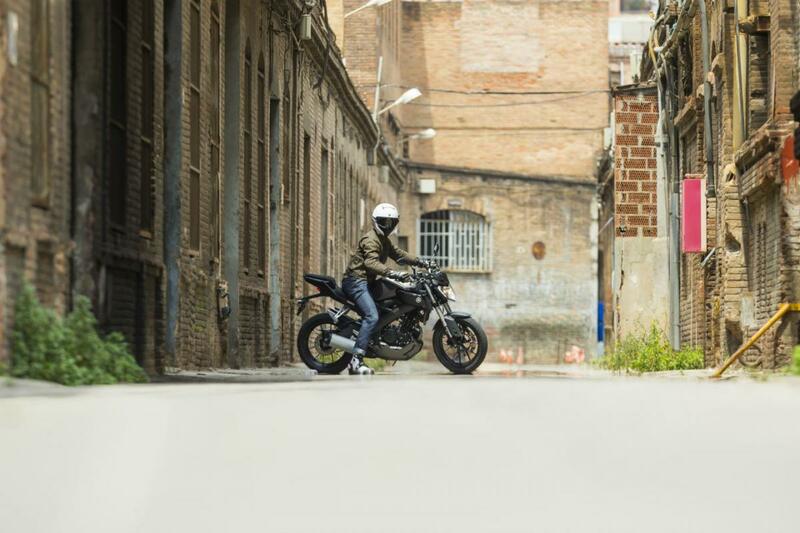 The large side air intake pods, wide bars, tank styling and short tail unit bring the bike together nicely and give the MT some serious attitude. Other than the 810mm seat height and riding position, the bike shares exactly the same geometry as the new YZF-R125 supersport which has had revisions for 2014. The 124.7cc single-cylinder 15hp engine has been given the magic touch and has over 70 different parts including a new injection system and cam profile. Dyno readouts show improved power throughout the whole rev range with a noticeable improvement in midrange torque and efficiency, Yamaha claim the new motor will deliver 112mpg, 11mpg more than the old model. On the twisty hillside roads of Barcelona the MT was composed, taught and it's flyweight 138kg mass meant it was huge fun to play around with, offering quick steering and agile handling. The gearbox is silky smooth, much more so than on the Honda CBF125 and CBR125, with not a false neutral selected all day either. The bike gets a 130 section tyre at the rear and a 100 section at the front, now shod with Michelin Pilot Streets the MT has good road holding and allows you to explore the capabilities of the new chassis. Both the front and rear suspension are non-adjustable but remain firm enough for sporty riding yet supple enough for long journeys or town riding. Despite the comfortable upright riding position the rearsets are placed relatively high and far back, akin to where you'd find them on a sportsbike. 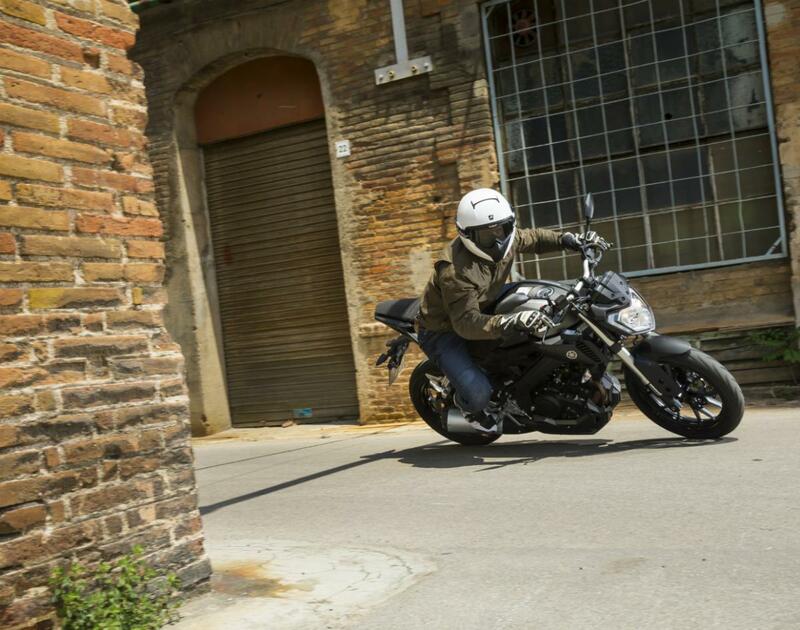 It helps you put more of your body weight over the front end for increased feel and suits the eager nature of the bike. 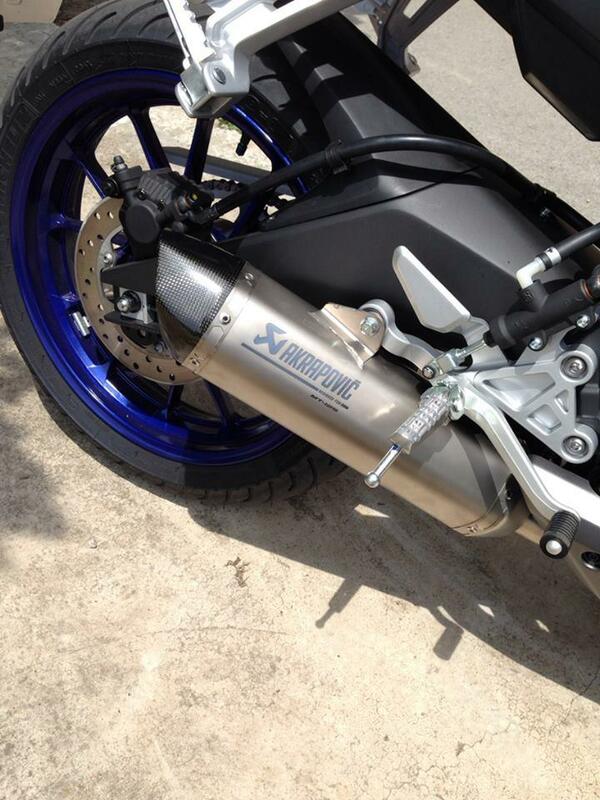 Stopping is done with a 292mm front disc and an all-new four piston radial caliper. Braking performance was more than adequate with good initial bite and progressive power through the firm lever. The MT is yet to come offered with ABS - unlike the KTM Duke 125 which costs £3,995 - but visible fittings to the wheels suggested it would be coming in the near future. Although a price is yet to be confirmed for the MT, a Yamaha spokesperson said it would cost under £4,000. Given enough of a straight and a whiff of tail wind, the new engine will take the bike to an indicated 85mph in its sixth and final gear. Crucially, it will hold motorway speeds and despite passing several heavy goods vehicles on our route the MT suffered from little wind buffeting. Low power aside, the engine is a peach and with Yamaha quality and reliability on your side you're unlikely to suffer the heartache of electrical gremlins and bad fuelling that some Duke 125 owners go through. And it doesn't just excel in the twisties either. City riding is a breeze with its upright riding position and generous steering lock, 25 degrees to be precise, allowing you to squeeze through narrow gaps in traffic or perform fast and manageable U-turns. Despite the 80 mile test route and lots of redlining, only one of six fuel bars on the new digital dash went out. The tank on the MT has been reshaped from the YZF-R125 but holds the same 11.5L, giving it a 'best scenario' maximum range of over 280 miles. And I would happily travel that sort of distance on it too. The MT is lavished in smart features like a suede finish on both the rider's and pillion seat, a stylish instrument cluster that separates useful information into three visible sections, and an LED headlight which glows in bright contrast to the MT's slightly odd 'Rise Up Your Dark Side' slogan. I find it slightly disappointing that only matt colours are available, even if they do look good. The red, grey and race blue all look smart on the 125 but so would the wide array of gloss colours that are available on the MT-07. Also not as up to par as the rest of the bike is the finish on the tank near the fuel cap. 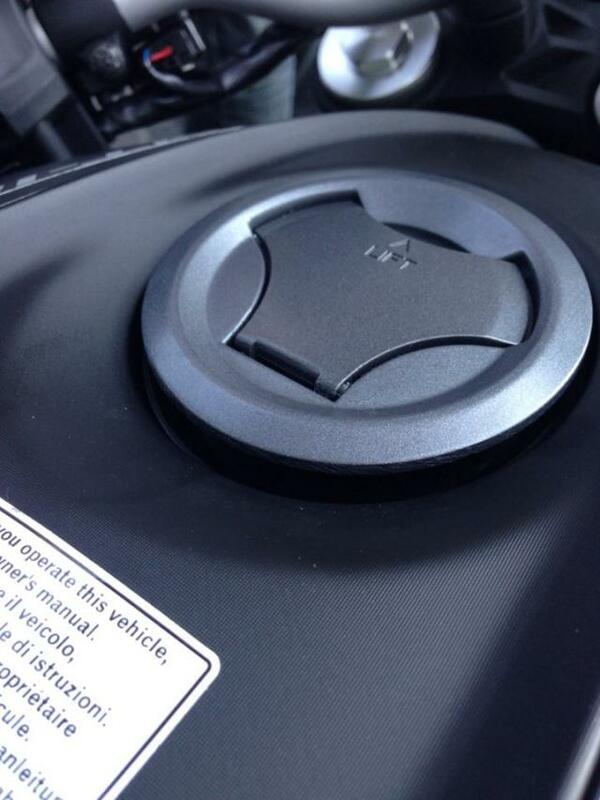 Neither sit flush with one another, leaving a large gap in front of the filler cap and giving off the impression that one of the two was an afterthought. Still, the MT remains a quality-feeling bike and with some of the press bikes being fitted with aftermarket extras such as bark busters, crash bungs, a fly screen, and a hugely improved exhaust note from the titanium Akrapovic slip-on, youngsters and experienced riders alike have the option of customising their bike even further. With 17-year-old A1 licence holders restricted to 125cc bikes for at least two years, it's arguably now more important than ever for manufacturers to create exciting motorcycles to inspire the younger generation to get on and ride. And from what I've just swung my leg over, Yamaha has nailed that criteria on the head.